Do your customers or employees ever complain about the temperature or humidity inside your commercial space? Are you launching a new restaurant, but require commercial refrigeration units before the grand opening? 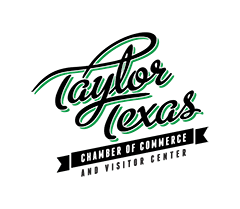 As a leading provider of HVAC and refrigeration services in the greater Austin, TX area, we proudly offer commercial air conditioning, heating, indoor air quality and refrigeration services, including the installation of new systems as well as the replacement of the old. Our trained and certified technicians are also available for any repair or maintenance services that you might require. Don’t hesitate to reach out to us today. We’ve been in business since 1979. Contact us now to schedule your commercial service. Roznovak's Services provides commercial services in Austin, TX and the surrounding areas. More and more it has become difficult to choose among the various options presented to us on a daily basis. If you’re at all feeling overwhelmed, then you’re not alone. Choosing a commercial HVAC system is an important step in the direction of comfort and convenience, and you need a guide to get you there. Let us help you choose a commercial heating and/or cooling system that matches your space exactly for maximum performance and efficiency levels. In order to keep your customers, employees and/or tenants warm all winter long, it’s imperative that you have an excellent commercial heating system installed in your space. We can make certain that this is the case with our commercial services. It’s not without good reason that commercial boilers are often chosen over other types of heating systems. We offer high quality boilers for installation and replacement, and our commercial HVAC technicians also provide comprehensive boiler repair and maintenance. Don’t underestimate the importance of your commercial thermostat. 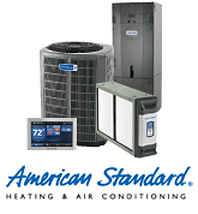 It is the only way that you are able to operate your commercial heating and cooling system. We offer a number of different thermostats for installation or replacement, including smart and wireless systems. It’s hot out and you need to keep your customers cool so they linger on your premises. If you own a professionally installed and serviced commercial air conditioning system, that should be no problem at all. From central air units to heat pumps, we can make sure that you’re all set. Comfort is not only about temperature, but also about the quality of your indoor air. You need to consider the amount of airborne contaminants in your commercial space as well as the humidity levels. We offer a number of different commercial indoor air quality products and services that can optimize your comfort. One of the most common choices for optimizing your indoor air quality is a commercial air purifier. These devices are excellent at removing noxious particles from your indoor space, whatever size it may be. Let us know if you need a commercial air purifier or other service. If you need to remove the dry air from your indoor space, then let us assist you with our commercial humidifier services in the Austin, TX area. We install and service quality humidifiers that can make a major difference in the comfort of your customers and employees. If you find that your AC struggles to keep your indoor space comfortable, and it remains muggy indoors, then it may be time for a commercial dehumidifier. We can make sure that it’s professionally installed and serviced as need be. In order to circulate high quality air throughout your commercial space, it’s imperative that you keep your ducts clean at all times. We offer excellent commercial duct cleaning services throughout the Austin, TX area. We treat your ducts carefully and we clean them thoroughly. When you own a restaurant or a large grocery store, you may need access to a number of perishable goods at once. Walk–in coolers and freezers are your best bet. As a commercial refrigeration leader in the area, we can make certain that you have exactly what you need to keep your product cool. Whether you’re starting a new food catering company, a grocery store or a restaurant, you will likely need to make some decisions regarding commercial refrigeration equipment. We offer a number of different systems for installation, all of which are built to last by leading manufacturers in the industry. Whether you opt for a walk–in cooler or freezer, we can help make sure it’s a success. We not only install but also service such equipment. Call Roznovak's Services for all of your commercial service needs in Austin, TX.